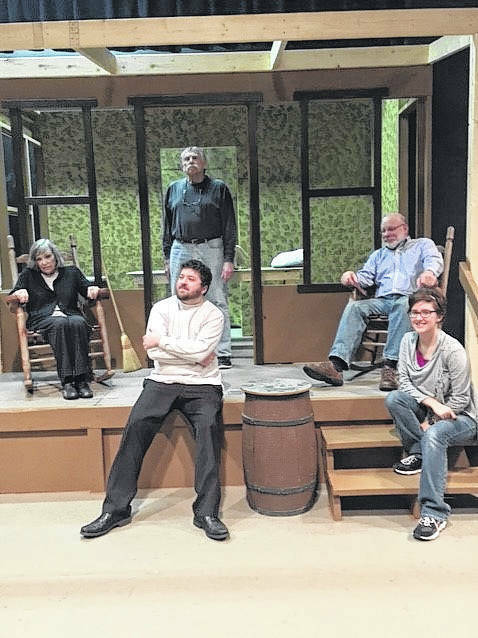 The Tony nominated hit of the 1982-83 Broadway season ‘Foxfire’ comes to the Brookville Community Theatre for the first presentation of the 2018 season. BROOKVILLE — Well known Dayton area Director Saul Caplan will bring the Tony nominated hit of the 1982-83 Broadway season ‘Foxfire’ to the Brookville Community Theatre for the first presentation of the 2018 season. It will run from Feb. 15 to Feb. 25. The play is a look at life in the mountains of northeast Georgia. Annie Nation, an indomitable, Appalachian widow of 79 lives on her mountain farm with her acerbic husband Hector. Her tranquility is threatened by a brash real estate developer who wants to turn her land into a vacation resort. She is also concerned about her country singer son Dillard who has come home with two stranded children because his wife has run away. Annie’s battle to decide her future takes her through some funny, touching and magical flashbacks of her life with Hector. Although it is not a traditional musical, live music in the play is an important production element. The cast includes Annie (Gayle Smith), Hector (David Williamson), Dillard (Andrew Mikakides), Prince (Ian Manuel) Holly (Rebecca Henry), Doctor (Don Cordes). To purchase tickets visit: brookvillecommunitytheatre.com or call Brookville Flower Shop at 937-833-3531.